This was such a good article! I didn’t realize you had books. 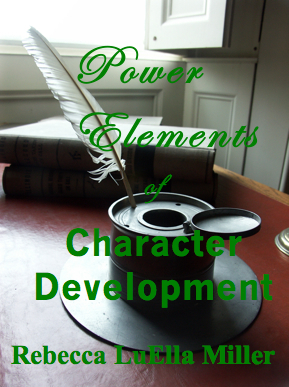 I just bought the Power element for story structure for my Kindle. I’ll enjoy reading and learning from that very much. Can’t wait for this one. You explain it so simply (Even though any writer knows it’s not so easy to develop a 3-D character.) Characters are so essential to any plot, when they are cardboard, everything else also flattens out. Sometimes coming up with story events first can help with character growth, because it gets a writer thinking, “What would so and so do if I have this happen?” Then you can add that quirk or behavior to the character. Thanks, Lady G. I’m so happy you bought Power Elements of Story Structure. Hope you find it helpful. I had hoped to have the character book ready much sooner, but the bulk of the work is done now, so I’m looking forward to releasing it as soon as possible. I really appreciate your feedback and encouragement, Lady G.